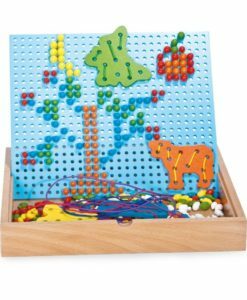 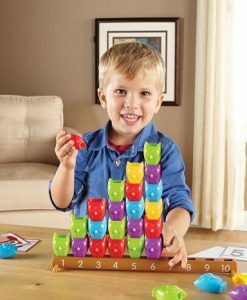 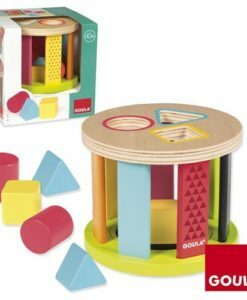 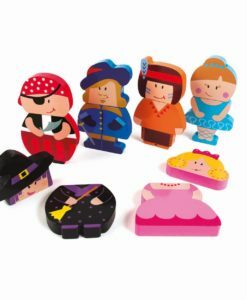 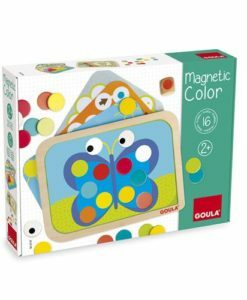 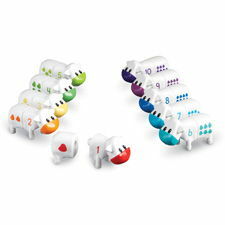 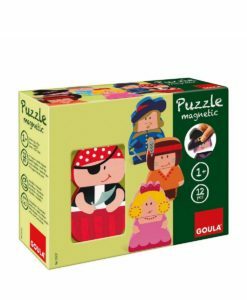 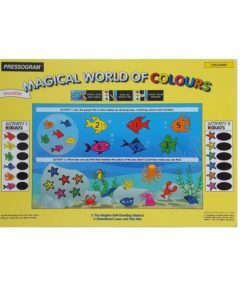 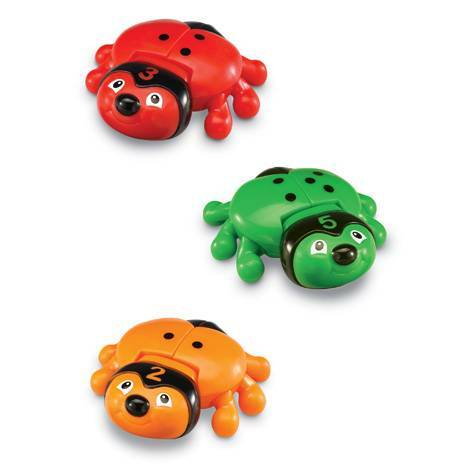 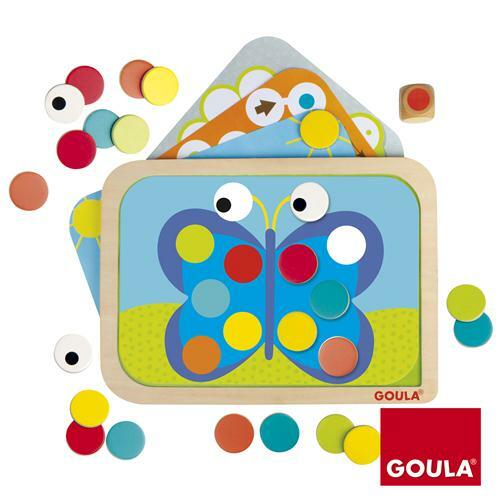 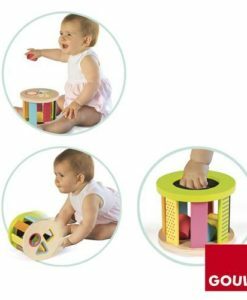 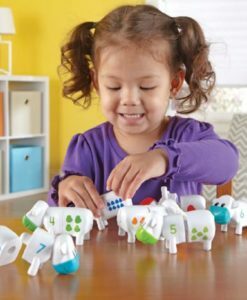 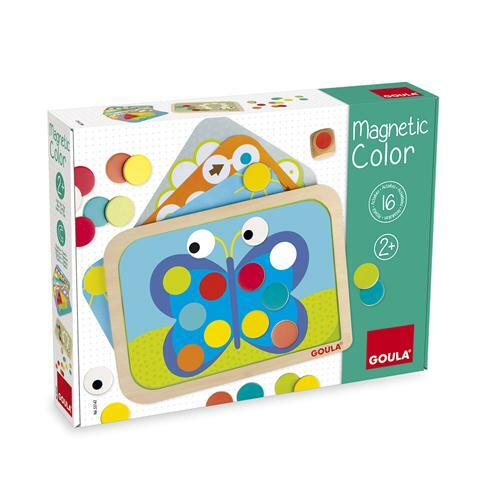 This Goula Magnetic Color set is sure to keep children entertained for hours. 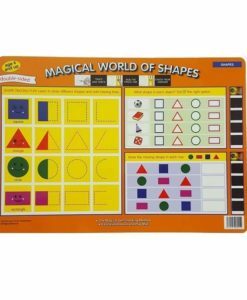 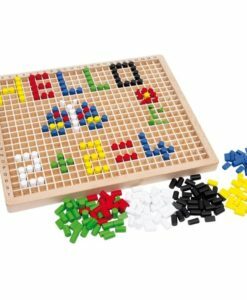 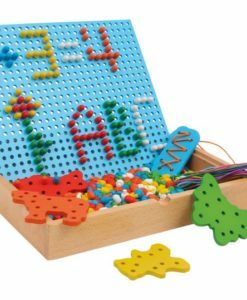 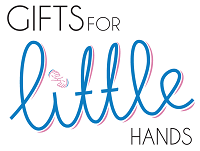 As well as developing hand-eye coordination, it will develop mathematics skills also. 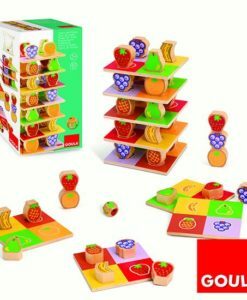 The set includes a wooden board and double sided card with different pictures on them. 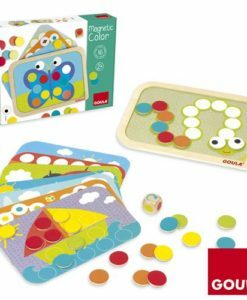 It also includes different coloured magnetic circle shapes that slot perfectly into the holes in the cards. 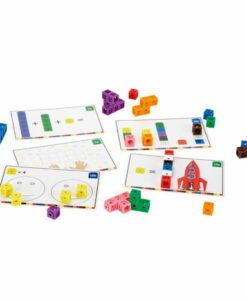 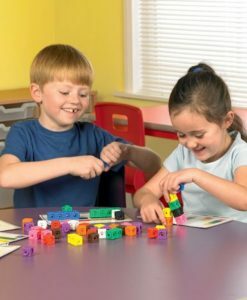 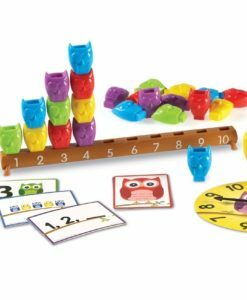 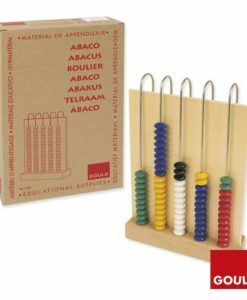 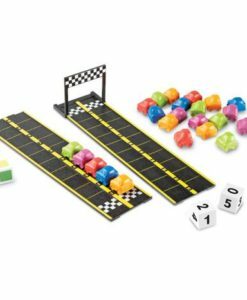 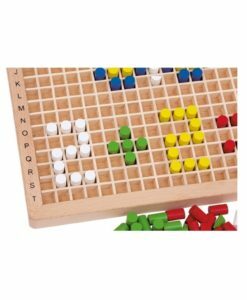 This helps improve children’s precision and problem solving skills. 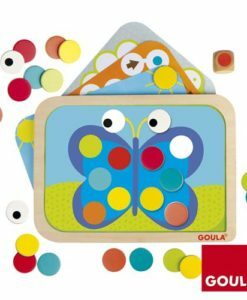 Picture cards include a butterfly, boat, caterpillar and many more. 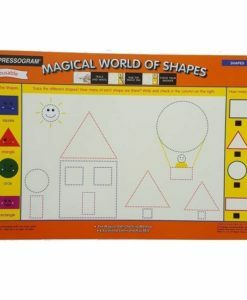 Once children have completed a picture card, they can start all over again and create a brand new design. 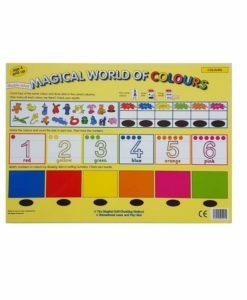 Furthermore, the bright and colourful pictures will engage children from an early age.